Pharmacology is necessary for some conditions. Medication may be useful for acute insomnia and for some of the parasomnias. It is almost always needed, along with scheduled short naps and close follow-up, in the treatment of narcolepsy and idiopathic hypersomnia. ↑ Bingham, Roger; Terrence Sejnowski; Jerry Siegel; Mark Eric Dyken; Charles Czeisler; Paul Shaw; Ralph Greenspan; Satchin Panda; Philip Low; Robert Stickgold; Sara Mednick; Allan Pack; Luis de Lecea; David Dinges; Dan Kripke; Giulio Tononi (February 2007). "Waking Up To Sleep" (Several conference videos). The Science Network. Retrieved 2008-01-25. ↑ Kvale, Paul A.; Peter D. Wagner; Lawrence J. Epstein (2005). "Pulmonary Physicians in the Practice of Sleep Medicine". Chest. American College of Chest Physicians. 128 (6): 3788–90. doi:10.1378/chest.128.6.3788. PMID 16354845. Retrieved 2008-07-27. The field of sleep medicine is in a time of rapid growth and maturation. ↑ The Royal Australasian College of Physicians (August 2006). "Requirements for Physician Training 2004". Retrieved 2008-07-28. ↑ Ramirez, Armando F.; Elaine C. Bell (March 2007). "Osteopathic Specialty Board Certification". J Am Osteopath Assoc. The American Osteopathic Association. 107 (3): 117–125. PMID 17485568. Retrieved 2008-07-27. 1 2 3 Collop NA (March 1999). "Conundrums in sleep medicine". Chest. 115 (3): 607–8. doi:10.1378/chest.115.3.607. PMID 10084459. ↑ Ohayon MM (September 2007). "[Prevalence and comorbidity of sleep disorders in general population]". Rev Prat (in French). 57 (14): 1521–8. PMID 18018450. The International Classification of Sleep Disorders lists more than 80 different sleep disorder diagnoses. ↑ Sigurdson K; Ayas NT (January 2007). 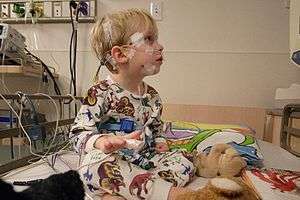 "The public health and safety consequences of sleep disorders". Can. J. Physiol. Pharmacol. 85 (1): 179–83. doi:10.1139/y06-095. PMID 17487258. ↑ Summers MO; Crisostomo MI; Stepanski EJ (July 2006). "Recent developments in the classification, evaluation, and treatment of insomnia". Chest. 130 (1): 276–86. doi:10.1378/chest.130.1.276. PMID 16840413. ↑ Czeisler, Charles A. (2003). "Pathophysiology and Treatment of Circadian Rhythm Sleep Disorders" (Video). MedScape. pp. Slide 10 of 32. Retrieved 2008-10-22. ↑ "Sleep, Performance, and Public Safety". Division of Sleep Medicine at Harvard Medical School and WGBH Educational Foundation. December 2007. Retrieved 2008-07-27. ↑ Mahowald, M.W. (March 2000). "What is causing excessive daytime sleepiness? : evaluation to distinguish sleep deprivation from sleep disorders". Postgraduate Medicine. 107 (3): 108–23. doi:10.3810/pgm.2000.03.932. PMID 10728139. Archived from the original on May 30, 2008. Retrieved 2008-07-27. ↑ American Academy of Sleep Medicine (2001). International classification of sleep disorders, revised: Diagnostic and coding manual (PDF). Chicago, Illinois: American Academy of Sleep Medicine. ISBN 0-9657220-1-5. Archived from the original (PDF, 208 pgs) on 2007-09-27. Retrieved 2008-07-27. ↑ Thorpy MJ (June 2005). "Which clinical conditions are responsible for impaired alertness?". Sleep Med. 6 Suppl 1: S13–20. doi:10.1016/S1389-9457(05)80004-8. PMID 16140241. ↑ "Medical Subject Headings". 14 January 2008. Retrieved 2008-07-27. ↑ Kennaway, David J. (2010). "Schizophrenia: a multisystem disease?" (Review). Journal of Psychopharmacology. SagePub. 24 (4): 5–14. doi:10.1177/1359786810382059. PMC 2951587 . PMID 20923915. Retrieved 2010-11-05. ↑ page 3 of Bower, Bruce (25 September 1999). "Slumber's Unexplored Landscape". Science News. Retrieved 2008-07-27. ↑ Bower, Bruce (25 September 1999). "Slumber's Unexplored Landscape". Science News. Retrieved 2008-07-27. ↑ Stores, G (2007). "Clinical diagnosis and misdiagnosis of sleep disorders". Journal of Neurology, Neurosurgery & Psychiatry. 78 (12): 1293–7. doi:10.1136/jnnp.2006.111179. PMC 2095611 . PMID 18024690. 1 2 Benca RM (March 2005). "Diagnosis and treatment of chronic insomnia: a review". Psychiatr Serv. 56 (3): 332–43. doi:10.1176/appi.ps.56.3.332. PMID 15746509. ↑ The Colleges of Medicine of South Africa (CMSA). "Diploma in Sleep Medicine of the College of Neurologists of South Africa: DSM(SA)". Retrieved 2010-02-05. ↑ HEALTH PROFESSIONS COUNCIL OF SOUTH AFRICA (16 March 2007). "Government Gazette, Board Notices, Raadskennisgewings, BOARD NOTICE 22 OF 2007" (PDF). Retrieved 2010-02-06. ↑ The South African Society of Sleep Medicine (2010). "SASSM". Retrieved 2010-02-06. ↑ Organising & Scientific Committee (2009). "1st Annual Congress of the South African Society of Sleep Medicine 2010 (SASSM 2010)". Retrieved 2010-02-05. ↑ "American Board of Sleep Medicine: About the ABSM". Retrieved 2008-07-21. ↑ American Academy of Sleep Medicine (2008). "Board Certification in Sleep Medicine – Previous (1978–2006)". Retrieved 2008-07-27. ↑ "American Board of Medical Specialties: Recognized Physician Specialty and Subspecialty Certificates". Retrieved 2008-07-21. ↑ "Standards for Accreditation of Laboratories for Sleep Related Breathing Disorders" (PDF). American Academy of Sleep Medicine. December 2007. Archived from the original (PDF, 17 pgs) on December 18, 2007. Retrieved 2008-07-27. 1 2 3 4 Cataletto, Mary E.; Gila Hertz (September 7, 2005). "Sleeplessness and Circadian Rhythm Disorder". eMedicine from WebMD. Retrieved 2008-08-03. ↑ Johns MW (1991). "A new method for measuring daytime sleepiness: the Epworth sleepiness scale". Sleep. 14 (6): 540–5. PMID 1798888. ↑ Jacobs, Gregg D.; Edward F. Pace-Schott; Robert Stickgold; Michael W. Otto (September 27, 2004). "Cognitive Behavior Therapy and Pharmacotherapy for Insomnia: A Randomized Controlled Trial and Direct Comparison" (Full text). Archives of Internal Medicine. 164 (17): 1888–1896. doi:10.1001/archinte.164.17.1888. PMID 15451764. Retrieved 2008-08-04. ↑ Barclay, Laurie (June 27, 2006). "Cognitive Behavioral Therapy Better Than Zopiclone for Chronic Insomnia" (Medscape CME). Retrieved 2008-08-04. ↑ Perlis, Michael L.; Michael T. Smith (15 February 2008). "How can we make CBT-I and other BSM services widely available?". J Clin Sleep Med (Editorial). American Academy of Sleep Medicine. 4 (1): 11–13. PMC 2276824 . PMID 18350955. ↑ Rowley, James A.; Nicholas Lorenzo (September 7, 2005). "Insomnia". eMedicine from WebMD. Retrieved 2008-08-04. ↑ Barclay, Laurie; Charles Vega (November 5, 2007). "Guidelines Issued for Management of Circadian Rhythm Sleep Disorders". Medscape medical news. Retrieved 2008-08-04. ↑ Kayumov, Leonid; Gregory Brown; Ripu Jindal; Kenneth Buttoo; Colin M. Shapiro (January 1, 2001). "A Randomized, Double-Blind, Placebo-Controlled Crossover Study of the Effect of Exogenous Melatonin on Delayed Sleep Phase Syndrome" (Full text). Psychosomatic Medicine. 63 (1): 40–48. PMID 11211063. Retrieved 2008-08-04. Exposure to bright light in the morning and avoidance of light in the evening would be expected to advance sleep onset, but a significant proportion of DSPS patients are not able to wake up before noon and sometimes awaken even later... The findings to date regarding melatonin treatment of DSPS are promising but limited. 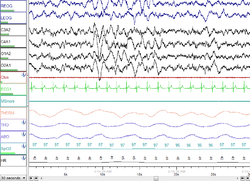 ↑ "DSPS – Delayed Sleep-Phase Syndrome". Retrieved 2008-08-04. But while the treatments may be effective for some people, a large proportion of DSPS sufferers are not able to achieve and maintain a normal sleep-wake schedule. ↑ Dagan Y; Abadi J (November 2001). "Sleep-wake schedule disorder disability: a lifelong untreatable pathology of the circadian time structure". Chronobiol. Int. 18 (6): 1019–27. doi:10.1081/CBI-100107975. PMID 11777076. Patients suffering from SWSD disability should be encouraged to accept the fact that they suffer from a permanent disability, and that their quality of life can only be improved if they are willing to undergo rehabilitation. It is imperative that physicians recognize the medical condition of SWSD disability in their patients and bring it to the notice of the public institutions responsible for vocational and social rehabilitation.